Angel. Photo © Tim Marshall. I started the ’38 Special’ bus project largely because the bus was always so overcrowded that rarely could you get a seat to read the paper. So, in order to fill the time, I began to take photographs during my journey to and from college. The whole of life’s rich tapestry unfurls on a bus and I soon extended the brief to observe the small dramas that occurred outside the bus as well. Although the real action often happens when I pass college and head towards China town and Piccadilly Circus, the main challenge had been documenting the journey from Essex Road to Central Saint Martin’s. Between 1938 and 1941, the great Walker Evans took his (suitably disguised) camera on the New York subway and photographed unwitting passengers. The photo are sweet and revealing but don’t have that unflinching, forensic power that we associate with Evans at his best: the man who photographed the faces and homes of poor, Depression-era farmers with such eloquence and grace. Tim has cited Walker Evans’ 1930s photos of the New York subway as an influence, but unlike Evans, Tim Marshall was not trawling the public transit systems for material, he was keeping a visual diary as he travelled to work. 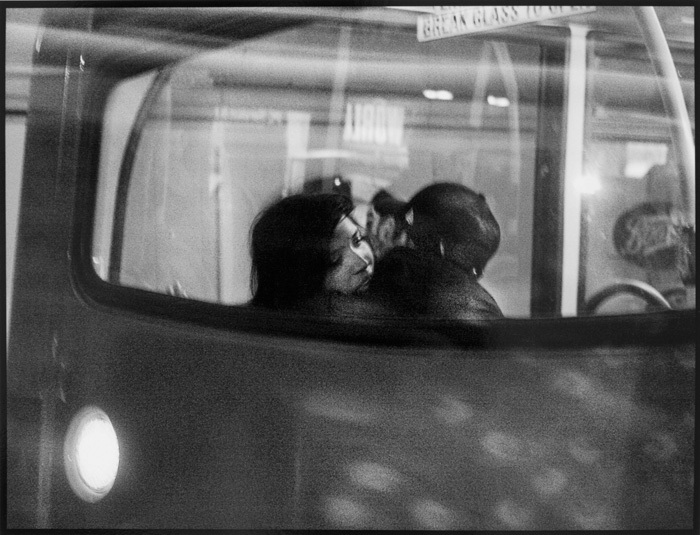 When he photographs bored commuters stuck on a bus stranded by traffic, he is one of them. These days, a photographer taking his camera onto public transport risks exposure, ridicule, violence and possibly arrest. I don’t know what subterfuges Tim used in order to conjure up the images that make up his 38 Special project, but as the image reproduced above shows, it was worth it. We will run more of them later in the year.